A Playmaker Media drama starring Jessica Marais and a reality series which reunites people with long-lost family members are among six new Australian shows for Network Ten in 2016. The line-up includes Australian Survivor, All Star Family Feud, the spin-off I’m A Celebrity… Get Me Out Of Here! Now, and the previously announced telemovie Brock. 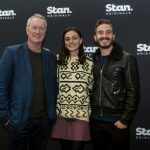 Ten said more new local series will be announced next year as it strives to build the momentum which saw the broadcaster record its highest commercial prime time shares since 2011 as audiences increased by 15 per cent this year. In Playmaker Media's The Wrong Girl, Love Child star Marais will play Lily, a modern woman caught between two guys – one too good to be true and the other so wrong he might be Mr. Right. Lily and her flatmate Simone are supposed to be taking a sabbatical from men but Lily falls in love with Jack, a hunky chef. The supporting cast is yet to be revealed. Based on the best-selling book by Zoe Foster Blake, the drama will deal with needy parents, good dates, bad dates, workplace challenges, friendships and “what the hell am I even doing here?” moments. Endemol Shine Australia’s Brock stars Matt Le Nevez as the car racing champion whose life off the track was complicated and controversial. The supporting cast includes Steve Bisley, Natalie Bassingthwaighte, Brendan Cowell and Ella Scott Lynch. Asher Keddie and Kat Stewart will be back for the sixth season of Endemol Shine's Offspring as the story of Nina Proudman and her unpredictable, messy and often amusing life continues. WTFN is producing Long Lost Family, hosted by Chrissie Swan and Anh Do. Private investigator Julia Robson will help locate the lost family members and provide updates on the searches, utilising every piece of evidence to trace the missing person. Australian Survivor will be set on a remote tropical island, location undisclosed, produced by Endemol Shine in association with format creator Castaway Television Productions. A local version screened on the Nine Network in 2002 and Celebrity Survivor aired on the Seven Network in 2006. In the US Survivor is in its 16th year and the 31st season launched in September on CBS. There are more than 50 versions around the world. MasterChef Australia will return for its eighth season with special guest chefs including Nigella Lawson, Marco Pierre White and Heston Blumenthal. There will be second seasons of ITV Studios Australia’s I’m a Celebrity… Get Me Out Of Here! as well as Shark Tank, Gogglebox, The Great Australian Spelling Bee and The Bachelorette Australia. Hosted by Joel Creasey, and Heather Maltman from The Bachelor Australia, I’m A Celebrity… Get Me Out Of Here! Now will run each night on Eleven after the main show and streamed live on tenplay. It will give viewers behind-the-scenes action from the South African jungle, news and gossip. Also returning are new seasons of Family Feud, The Living Room, The Project, The Bachelor Australia, Have You Been Paying Attention?, Territory Cops, Bondi Rescue and Bondi Vet. 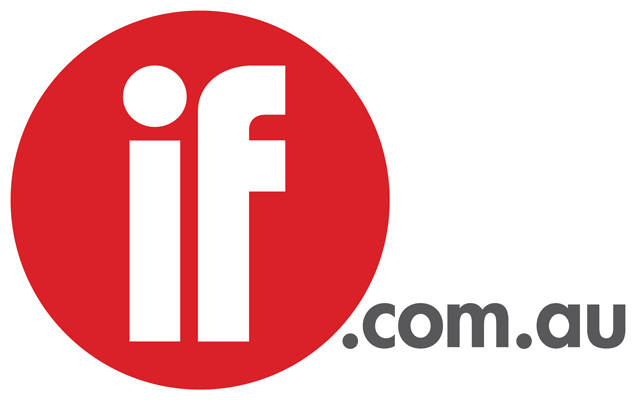 Continuing its partnership with the Melbourne International Comedy Festival which celebrates its 30th anniversary in 2016, Ten will broadcast a series of special events including the Melbourne International Comedy Festival gala. McGarvey said: “Content that lives on all screens is at the heart of our business. In 2016 we will continue to introduce innovative, contemporary content with mass appeal that our viewers can engage with in multiple ways on numerous platforms.